Legendary fashion designer Coco Chanel once said that if you dress impeccably, they notice the person. If you dress shabbily, they notice the clothing. The one characteristic most successful people have in common is that their clothing always looks picture-perfect. 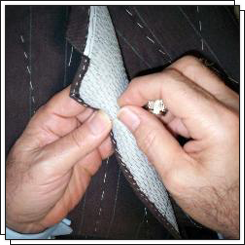 If you aspire to transform your appearance, come to us and get help from an experienced tailor in Costa Mesa, CA. Family-owned Arsen's European Tailoring uses high-quality Italian designer fabrics to create custom-made men's suits and shirts. We also carry top-of-the-line ready-made suits and offer complimentary alterations that give them a custom-made look. We want you to feel confident in your appearance, so we do basic and fine alterations for both men and women. Whether it's a suit or a dress, we fit it to your precise measurements. Improve or maintain your look with fine apparel from our tailor shop and men's clothing store. We welcome clientele from across Orange County, including Irvine, California. Have you ever wondered why some people look so great in their suits? It's probably because they are custom-tailored! 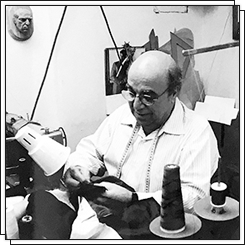 For over 50 years, Arsen's European Tailoring has been known for custom-tailored suits and shirts. We are modern tailors that use old-world craftsmanship to make your clothing immaculate. At our tailor shop, you can choose from a wide assortment of designs, fabrics, and styles that we use to create custom clothing that perfectly fits you. Our fabric is represented by some of Europe's most outstanding mills, including Loro Piana, Scabal, and Dormeuil. We take you and your custom clothing needs seriously, so we provide you with one-on-one service. Although we make and carry higher-end men's apparel, our merchandise is affordable. We do our utmost to accommodate our customers' individual budgets.